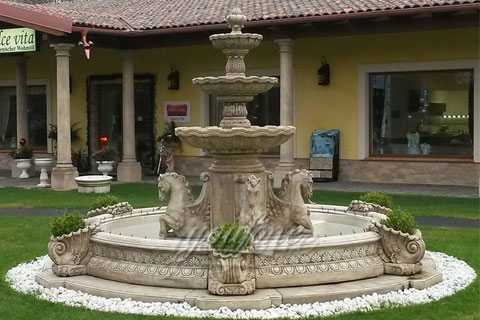 Horse Garden Water Fountains is Diameter 280cm, height 230cm. You Fine Art Sculpture off bespoke material, size and design of the marble outdoor garden water fountain. Size：Diameter: 280cm&Height: 230cm or Customized Size. 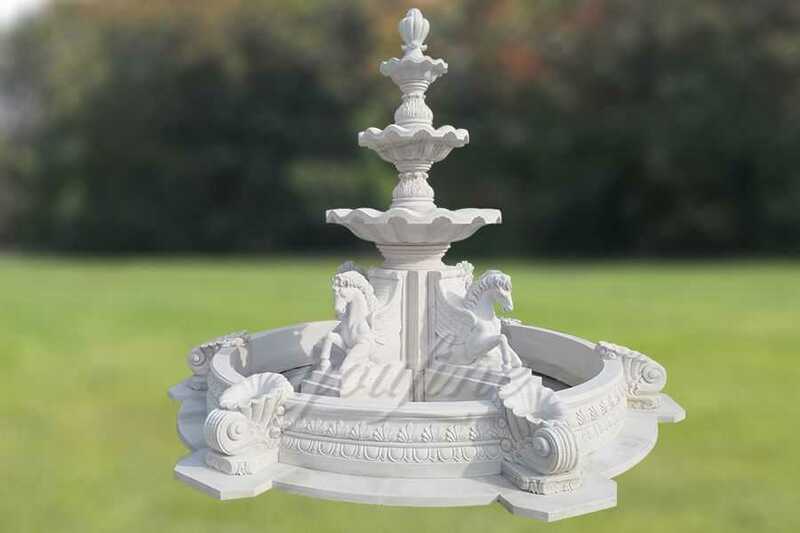 This garden tiered water fountain is carved from pure white marble. 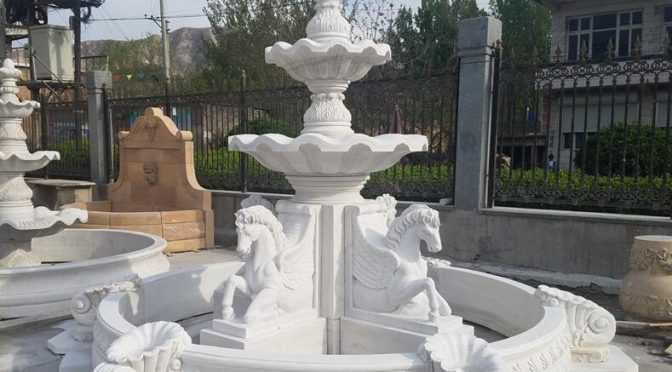 The size of this Antique White Marble Outdoor Horse Garden Water Fountains is Diameter 280cm, height 230cm. You Fine Art Sculpture off bespoke material, size and design of the marble outdoor garden water fountain. 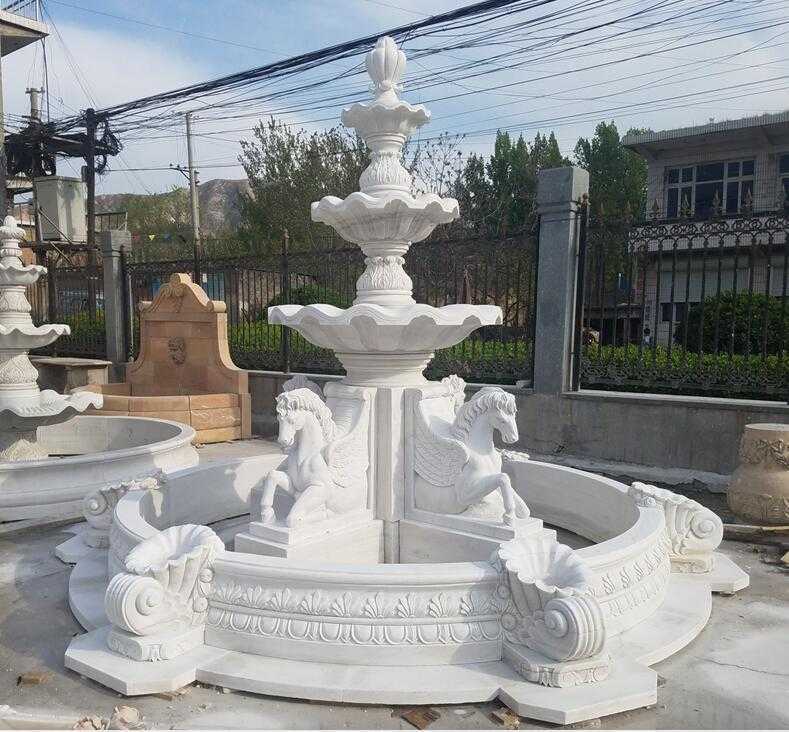 So any color marble and any scale size of the Antique WhiteMarble Outdoor Horse Garden Water Fountains you need is available. 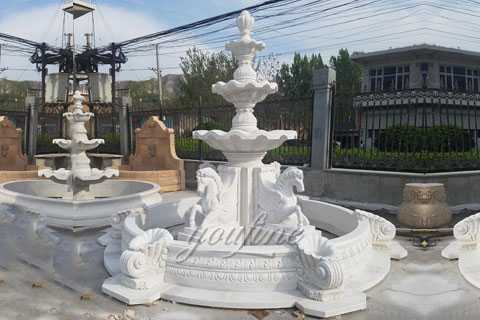 Or there are some details of this Antique White Marble Outdoor Horse Garden Water Fountains you want to change, or you want to customize other kinds of design, pls free feel to tell us! Garden tiered water fountain is used mostly for outside (garden, square etc), it also can be used for interior decoration. We offer customized sizes of garden water fountain. 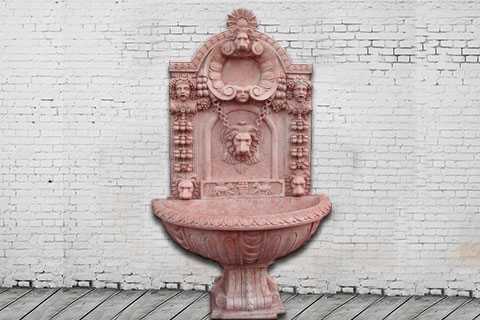 This garden water fountain is made in natural white marble.The color becomes antique after putting outside for long time. 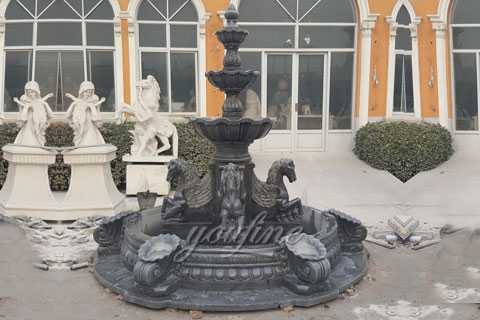 If you want to received one antique garden water fountain directly, masters could make it antique with some professional methods. 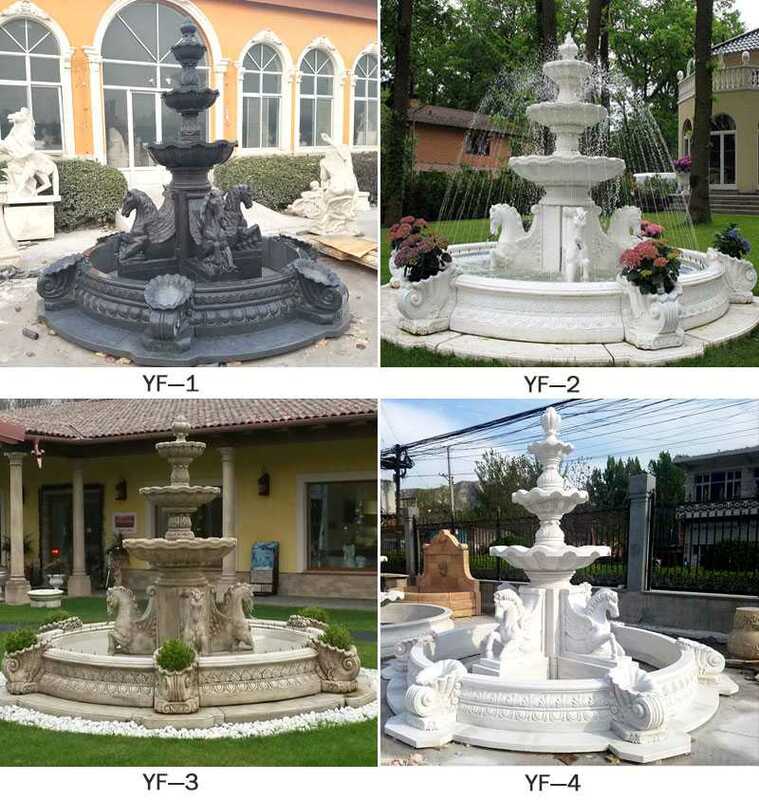 You Fine could provide all kinds of garden tiered water fountain,such as 3 tier marble fountain, animal marble fountain, large marble fountain,rolling ball marble fountain,etc.. We could also make customized designs and size. 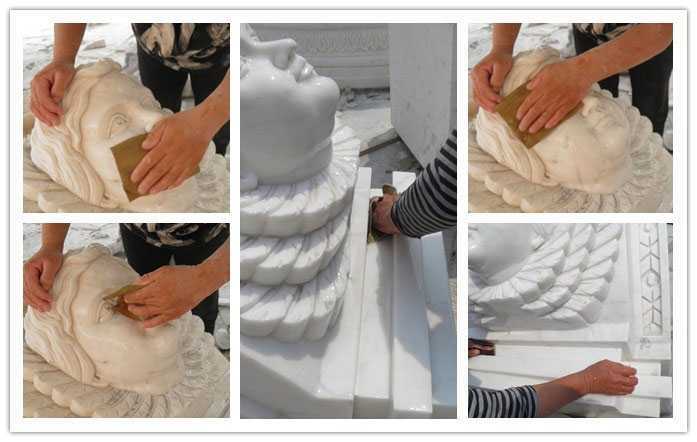 By sea: Special for large marble water fountain, can save lots of cost. By train/truck: Special for Customers from Russia, Europe and other inland countries, short transportation time, also can save some cost. 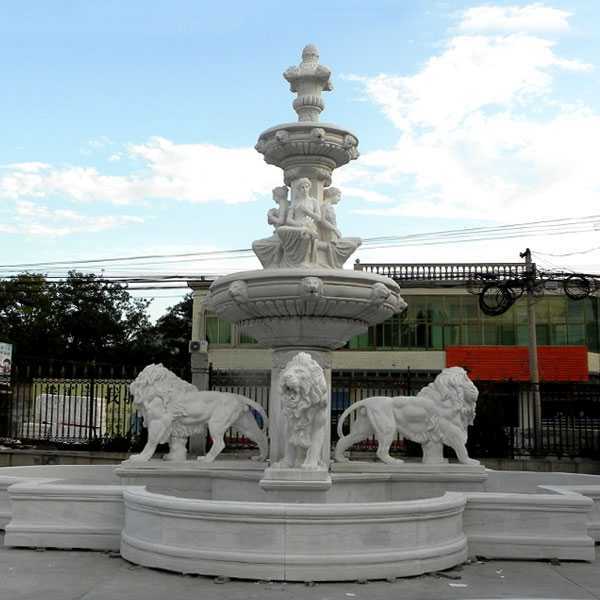 All of our marble water fountain have our 30-years quality guarantee, which means that if you find any problem with the marble lion fountain you purchased, you can quickly approach You Fine for the necessary solution for free. In severe cases, money will be given back in less than 7 days. Our prices not arguable, this because that we are manufactures (our own foundry), not just suppliers. We make sure that we would negotiate to suit our art quality as well as our customer’s budget. However, we always advice customers who insist on very cheap rate as compared to some other company’s product to also consider the art standard. 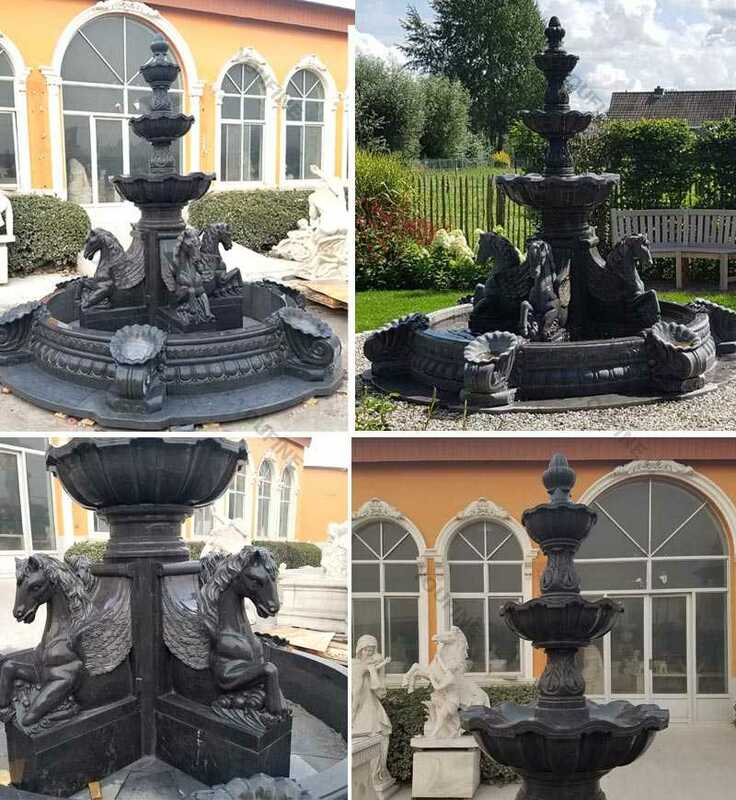 This garden tiered water fountain is very popular with the horse fountain designs and the antique style. If you have any customized ideas, please don’t hesitate to call or email us!